Looking for movie tickets? Enter your location to see which movie theaters are playing Divergent near you. 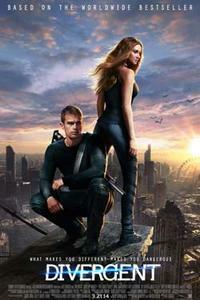 Tris Prior is warned she is Divergent and will never fit into any one group. When she discovers a conspiracy to destroy all Divergents, she must find out what makes being Divergent so dangerous before it's too late.